Bonn, Germany, 11 June 2014 - Some of the world’s most endangered species, many of them migratory, are facing unprecedented threats from climate change, habitat destruction to overexploitation and pollution which has led to a number of new listing proposals for consideration at CMS COP 11 - a key international wildlife conference scheduled to take place 4-9 November 2014 in Quito, Ecuador. The United Nations Environment Programme (UNEP) administered Convention on the Conservation of Migratory Species of Wild Animals (also known as CMS or the “Bonn Convention”) is the only global convention protecting species that move across international boundaries. Every three years it holds an international meeting of all its members - the Conference of the Parties (COP) - to agree on internationally coordinated conservation measures for the world’s migratory species and to decide which species should be protected under its two Appendices. The deadline for listing proposals for CMS COP11 was 6 June and a total of 32 species have been proposed for listing into Appendix I which requires strict protection and Appendix II which requires coordinated management by the countries in which the species migrate. 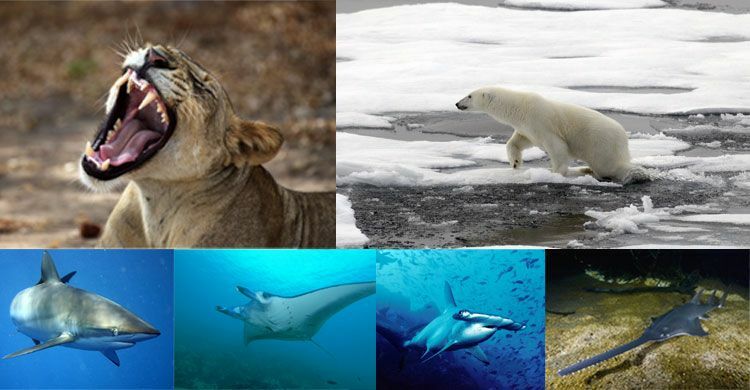 Other species put forward by individual CMS Parties for consideration by CMS COP11 include the Polar Bear which is under major threat from climate change and the African Lion which has seen a 30 per cent decrease in population over the last two decades as a result of habitat loss and other man-made threats as well as the European Eel which is threatened by overfishing and dams. Other issues that will be discussed at CMS COP11 in Quito later this year include the illegal hunting of elephants, which are being driven to the brink of extinction as on average a hundred animals are being poached every day. This is also a topic that will be high on the agenda of the first ever United Nations Environmental Assembly (UNEA) later this month and which has also been the subject of a number of major Heads of State summits recently. Other issues affecting migratory species that will be discussed at CMS COP11 in November include climate change, marine debris, the effects of renewable energy installations on migratory species and illegal bird trapping. • The African Lion whose numbers have declined by 30 per cent in the last two decades has been proposed for inclusion on Appendix II. Only about 40,000 animals remain from an estimated 100,000 in 1900 in no more than 25 per cent of their historical range. Only one isolated population of the Asiatic Lion, which has been proposed for inclusion on Appendix I, still exists in India (Gujarat State) with about 175 adult animals. • The Polar Bear, an apex predator that spends much of each year on the sea ice hunting, covers distances of up to 1,000 kilometres. Now proposed for listing on Appendix II, a global perspective, including the better understanding of the impacts of climate change on Polar Bears could be added to the conservation policies that countries in the region have worked on for decades. • Two species of Hammerhead shark – the Great and the Scalloped - have been proposed for inclusion on Appendix II. Noted for their distinctively shaped heads from which they derive their name, Hammerhead Sharks have undergone dramatic declines in recent years – as much as 99 per cent for some populations. Other shark species proposed for inclusion in Appendix II are the Silky shark, and three species of thresher shark. • The Reef Manta Ray along with nine Mobula or Eagle ray species is proposed for listing in both Appendices. In several regions, populations of the Reef Manta Ray have declined up to as much as 80 per cent over the last three generations, or about 75 years. The main threats are targeted and incidental fishing. Manta ray products have a high value in international trade markets. • Five species of sawfishes, some of which are critically endangered, have been proposed for listing on Appendix I and II. The listing proposals coincided with the launch of a global strategy for the conservation of sawfishes by the Shark Specialist Group of the International Union for Conservation of Nature (IUCN) at the Sharks International Conference in Durban, South Africa last week. This proposal brings the total number of shark and ray species submitted to 21. • The European Eel, which has unique migration patterns spanning a geographic range from European rivers to the Sargasso Sea in the middle of the North Atlantic Ocean, is threatened by overfishing and dams being obstacles to migration is already subject to protection measures under European Union Law. • The Great Bustard, one of the largest flying birds of the world, has been proposed for Appendix I. It is already listed in both Appendices. The proposal to list the global population on Appendix I removes the existing geographical restriction to the Middle European population.